Hall Ways Blog: Rituals of the Dead ~ ~ Audio Book Blog Tour Promo & #HallWaysBlog Review! 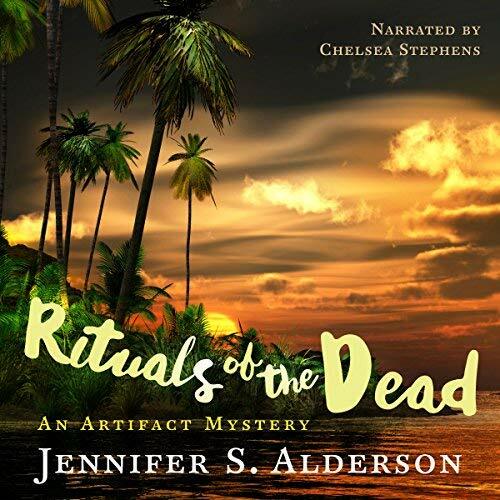 Rituals of the Dead ~ ~ Audio Book Blog Tour Promo & #HallWaysBlog Review! Art history student Zelda Richardson is working at the Tropenmuseum in Amsterdam on an exhibition of bis poles from the Asmat region of Papua - the same area where a famous American anthropologist disappeared in 1962. When his journal is found inside one of the bis poles, Zelda is tasked with finding out more about the man's last days and his connection to these ritual objects. HALL WAYS REVIEW: Audio Book Review. Though Rituals of the Dead is the third book in the Adventures of Zelda Richardson series, it was the first for me and my introduction into Zelda’s world. The librarian in me connected with the art-historian in Zelda as we both appreciate finding and processing information from the past and present. This book easily stands alone, but the scattered references to some prior hair-raising adventures piques my curiosity about the other books. 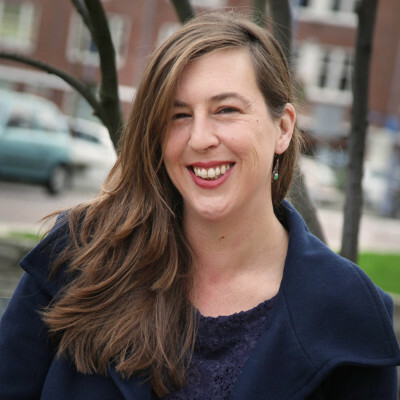 History lovers and lovers of diverse cultures will be treated to the historical details that author Jennifer Alderson has included in the book. Who doesn’t enjoy a bit of the true but macabre tribal rites and rituals found in faraway places? Admittedly, I am no expert, but it seems the author has done her research. Some sections get a little too history-book-heavy, but the historical information makes the reader think. Alderson subtly and not-so-subtly reminds readers about the western impact on native cultures and our tendency to corrupt what is sacred to others. Rituals of the Dead shows that even when the motive is good, unintended consequences are not. For example, when one of the characters tries to help the tribe by buying its artifacts, the result is that they increase their headhunting activity! The premise of Rituals of the Dead is completely unique, and the story is fascinating. There are a few holes in the story line, and there are some things that happen that are just a bit too convenient, but it doesn’t push the reader’s ability to suspend disbelief. 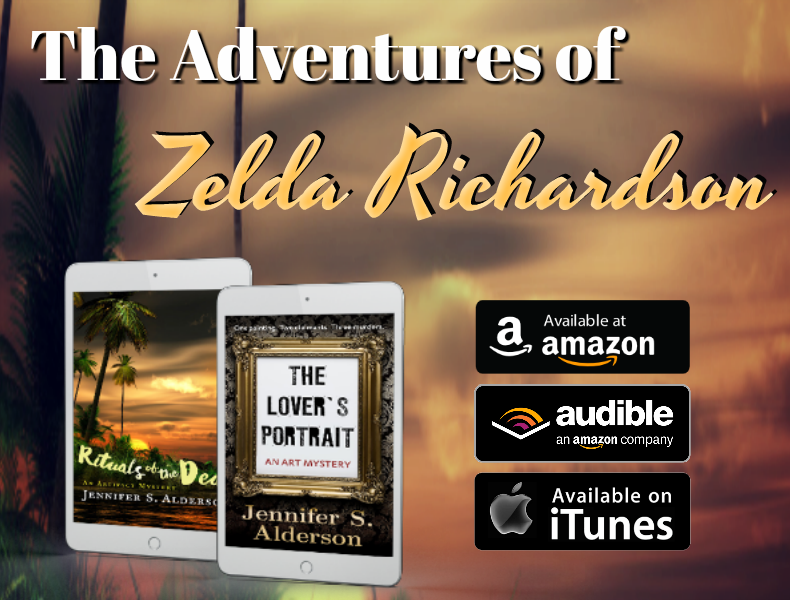 There is plenty of death and murder, but I never felt a real sense that Zelda was in real danger – she certainly didn’t seem to worry as she made some extraordinarily bad choices that put herself in precarious positions. I look forward to reading the prior books in this series and any future installments Alderson may have in store, but I may switch to print for those. Though the audio narration was excellent, the downside for me is that when faced with factoids of dates, I need to see the words with my eyes to process some of the history. I received this audio book as part of my participation in a blog tour with Audiobookworm Promotions. 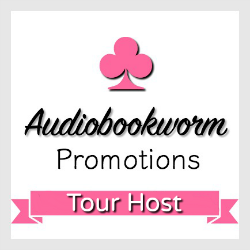 The tour is being sponsored by Jennifer S. Alderson. The gifting of this audio book did not affect my opinion of it. Her travelogue, "Notes of a Naive Traveler," is a must read for those interested in learning more about—or wishing to—travel to Nepal and Thailand. It was also awarded a Readers’ Favorite 5 star medal. 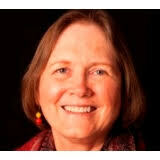 Carol Purdom is a retired System Analyst. She has many years of experience performing in community and dinner theater and currently writes for and directs her church Drama Ministry team. She received training in commercial and audio book recording from ADDY award-winning voice actor Leonard Dozier (SAG-AFTRA, AEA, ASCAP, Actor, Singer, Songwriter). She has recorded 8 audiobooks.